The 2009 Impreza is a great choice for those looking for a reliable and capable compact car. The all-wheel-drive drivetrain provides secure handling in nearly all road conditions, potentially a must-have for those living in less temperate climates. The turbocharged engine found in the Impreza 2.5GT offers plenty of passing power and fun. 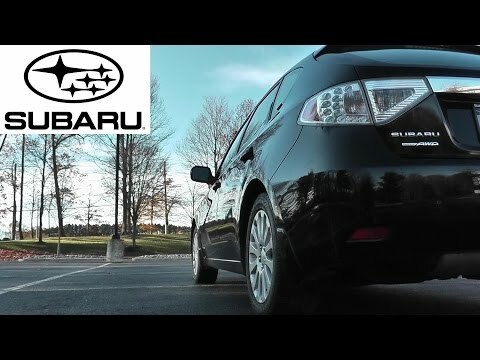 2009 Subaru Impreza car review. All wheel drive is the car's best feature. It feels very safe driving in any kind of weather. Overall performance and reliability has been good. Driving feels very comfortable and I have been told that the passenger seating is comfortable, too. I wish there was higher ground clearance. Developed rust in areas I did not expect, for example, below the rear windshield wiper and the driver's side floor. There is also visible paint fading on the car door handles. Driver side visor needed replacement within a couple months after the warranty expired. The standard windshield wipers do not appear to hold up well. Had to be replaced several times and the heavy duty wipers seem to be stronger. Tire pressure gauge sensor(s) appear to be very sensitive and the indicator light routinely is on if the temperature drops below 50 degrees f. It also came on when I had an insulated food bag in the back of the car. The light went off after I removed the bag. In the manual I found one mention that this could happen if there is an interruption of the signal between the sensors. Great day to day vehicle! I bought my Subaru Impreza in November 2017 with 120, 000 miles for just below 8000 dollars. So far it has been a very reliable vehicle with very few issues. I had to change one of the tires once. I did two maintenance checks. Next time I purchase a vehicle I would go for a larger vehicle maybe like the Forester or the crosstrek since it would make traveling in Utah easier. This vehicle is reliable for day to day driving, from home to work but it lacks a bit of engine power. It is a four wheel drive which is great in the snow. Subarus will last forever but getting them fixed is typically more expensive than other vehicles. I love Subaru vehicles. I love the 35 average mph I get. The all-wheel drive makes winter driving a breeze. I have driven my car all over the country without worrying about it breaking down and in relative comfort. I have loaded with my kayak on top, bike on the back, and all of my gear in the back seat. The one complaint I do have is the low clearance. The all-wheel drive can only do so much offroading when the clearance is so low. 2009 Subaru WRX STI Review | The Perfect Daily Driver?